Stacey began her Greenfield Banking Company career in 2011 at our Fortville office as a teller; later working as a Customer Service Representative. In April 2012, she transferred to the Wealth Management department as an Administrative Assistant. Continuing to develop her career, in 2013 she was named Assistant Trust Officer and 2014 named Trust Officer. Stacey received her B.A. in Finance and Supply Chain Management, as well as a minor in Economics, from Indiana University Indianapolis’ Kelley School of Business in 2011. 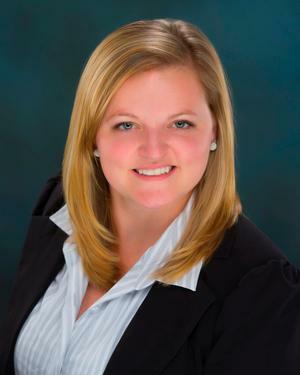 Here at GBC Wealth Management, she focuses her work on trust and estate administration. She is working to receive her Certified Trust and Financial Advisor (CTFA) and recently completed the second course of the Cannon Financial Institute Trust School. Stacey had been a lifelong resident of Hamilton County, extremely active in their 4-H program, until her recent move to southeastern Marion County. Along with her husband Keith, she stays active with the family farms. She participates in many volunteer organizations, as well as serving as a Board member for the Greenfield Rotary Club.